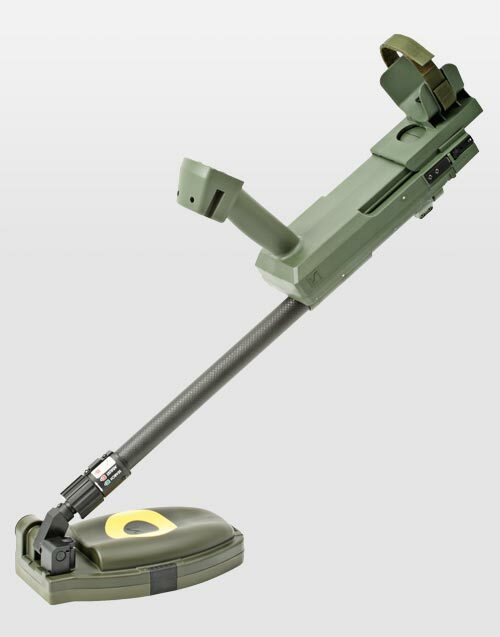 For detection of metal and metal-free mines and IEDs, search head with metal detector (EMI), and ground penetrating radar (GPR), easy operation, handheld unit, approximate weight is only 4 kg (8.8 lbs. ), power supply: rechargeable lithium polymer cells, or 4 D-size standard or rechargeable (NiMH) batteries in special battery holder. Detection signal via: visual by LED bar-graph, audio signal by inbuilt loudspeaker or headset, vibration. 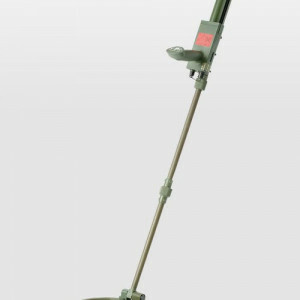 MINEHOUND VMR3 DUAL SENSOR METAL DETECTOR is an advanced technology, combining leading-edge ground penetrating radar (GPR) and high-performance metal detector (MD). 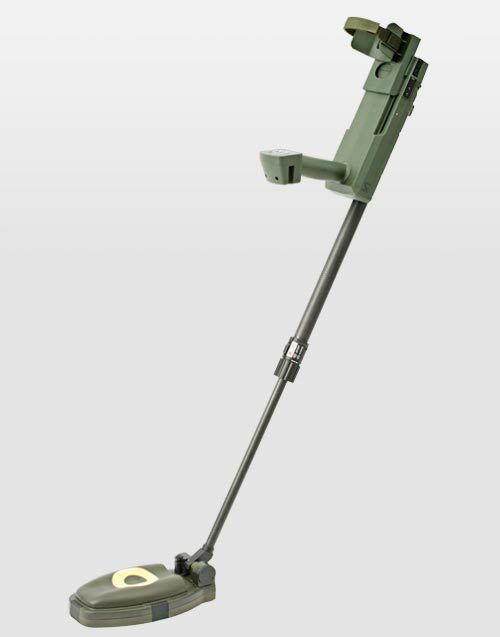 MINEHOUND VMR3 is simple to use, providing the operator with clear audio signals to alert the presence of a potential mine threat. When a threat is located, the MD audio provides accurate position information and mass of metal indication. 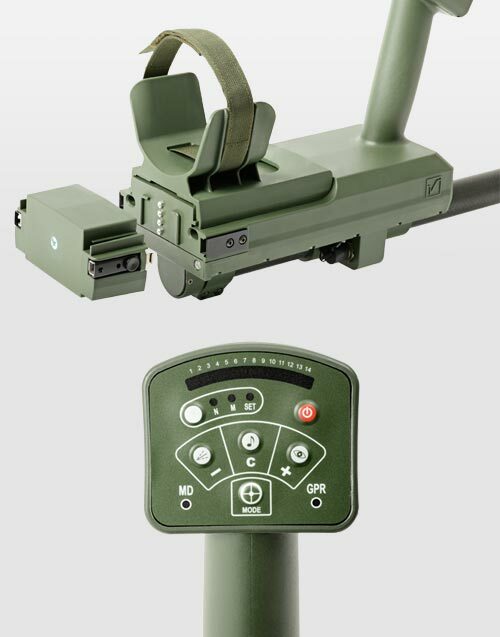 The GPR audio provides additional position and depth information, and gauges the radar cross-section of the target. Both detectors can be used separately or together. 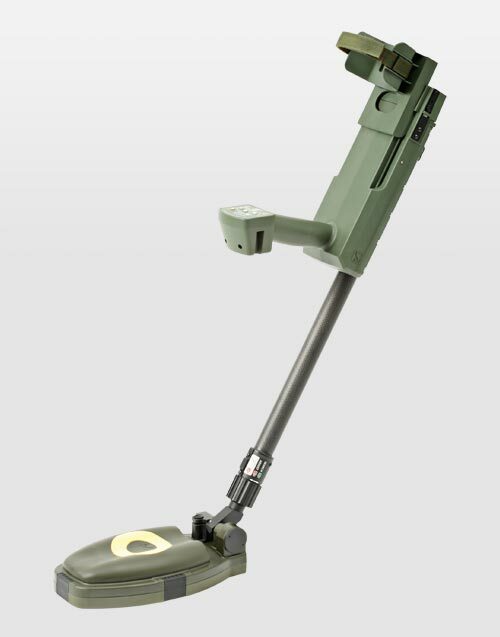 MINEHOUND VMR3 DUAL SENSOR METAL DETECTOR has been designed specifically for use in the most challenging military and humanitarian demining operations. 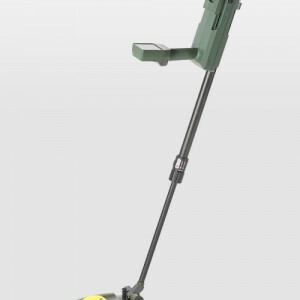 Comprising a metal detector and a ground penetrating radar (GPR). 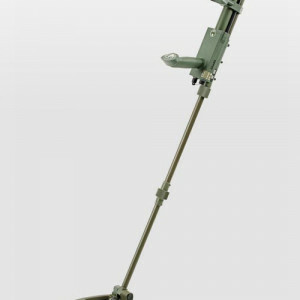 Metal-free mines and IEDs can also be detected. Ultrahigh sensitivity. Easy operation. Alarm: visual bar graph, audio signal, and vibration. Simultaneous operation of metal detector and GPR possible. Lightweight.